Pardee Homes will celebrate the grand opening of Linea in Inspirada Saturday with a nod to National Chocolate Cake Day. Chocolate cake bites as well as an innovative avocado bar and other refreshments and activities will offered from 10 a.m. to 2 p.m. or while supplies last. Pardee Homes Division President Klif Andrews shows off model homes in Linea in Inspirada. Pardee Homes will celebrate the grand opening of Linea in Inspirada on Saturday with a nod to National Chocolate Cake Day. Chocolate cake bites as well as an innovative avocado bar and other refreshments and activities will be offered from 10 a.m. to 2 p.m. or while supplies last. “We’re proud of our long-standing presence in Inspirada and to add to our collection of new homes with Linea, featuring modern floor plans priced from the $330,000s,” said Pardee Homes Division President Klif Andrews. Linea’s four two-story floor plans range from 2,014 to 2,711 square feet and are available in three stylish elevations including Desert Contemporary, Modern Spanish and Nevada Living, per plan. Prices at Linea start from approximately $335,000. To reach the neighborhood, travel south on Via Inspirada Parkway until it transitions east and becomes Bicentennial Parkway. Turn north on Via Firenze Parkway and the neighborhood is ahead on the right just north of Cartanda Avenue between Potenza Park and Capriola Park in the master-planned community. Linea Plan One measures 2,014 square feet with three bedrooms, 2½ baths and two-car garage while Linea Plan Two measures 2,388 square feet with three bedrooms, 2½ baths, great room, lounge and two-car garage. Options include a fourth bedroom instead of the lounge, and loft in lieu of a third bedroom. Linea Plan Three is 2,430 square feet with three bedrooms, 2½ baths, lounge, great room and two-car garage while Plan Four at Linea measures 2,711 square feet with up to five bedrooms, three baths and two-car garage. Sales in Inspirada in 2017 earned the Henderson master-planned community a No. 8 ranking among master-planned communities nationwide based on new home sales, according to RCLCO and John Burns Real Estate Consulting. Inspirada is home to 35 miles of trails and four City of Henderson parks with swimming pools, splash pads, sports fields, sports courts, playground areas and a dog park. For information about Pardee Homes neighborhoods in the Las Vegas area, call 702-604-3332 or visit pardeehomes.com. New Home Gallery hours are 10 a.m. to 5 p.m. Tuesday through Sunday and noon to 5 p.m. on Monday. Pardee Homes Las Vegas builds thoughtfully designed and innovative new homes and communities for first-time through luxury homebuyers. Established in 1921, Pardee Homes was among the first to embrace master-planned community concepts, green homebuilding measures, environmentally sensitive development practices and customer-focused processes for new home purchases. 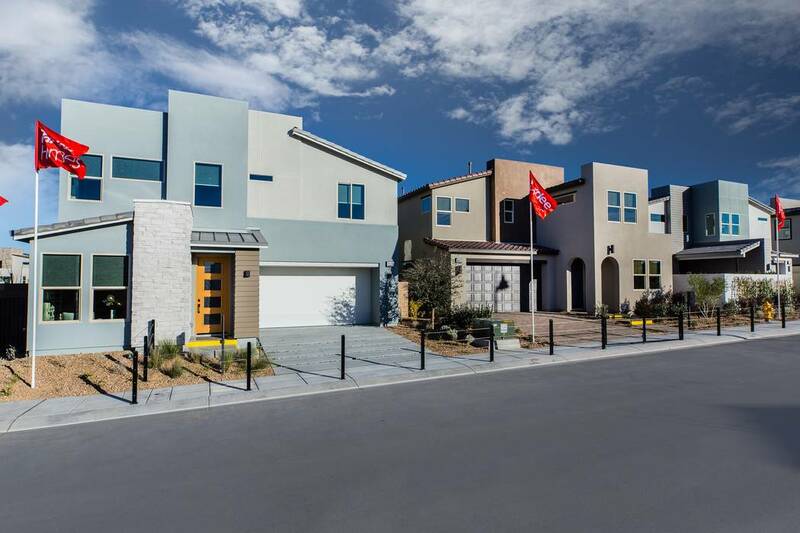 Pardee Homes Las Vegas has built more than 40,000 homes throughout Southern Nevada in the last 65 years and is a member of TRI Pointe Group, a family of premium regional homebuilders.